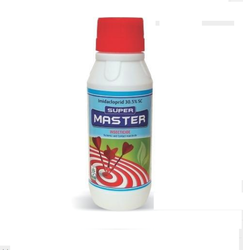 Leading Manufacturer of profenofos 40% cypermethrin 4% ec (prifix plus), acephate greenphate biopesticides, imidaclopride 30.5% sc (super master), deltamethrin 1% triazophos 35% ec, fipronil 5% sc (fipgen) and imidacloprid 17.8% sl (master) from Vadodara. 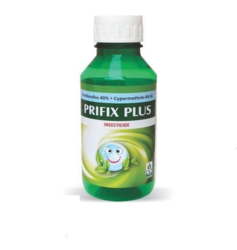 We are among the celebrated organizations in the industry for offering a wide range of Profenofos 40% Cypermethrin 4% EC (Prifix Plus) in the market. These are highly active synthetic pyrethroid insecticide which controls a wide range of insect pests on a variety of crops by stomach and contact action. Also, these products are offered under the supervision of the skilled professionals. 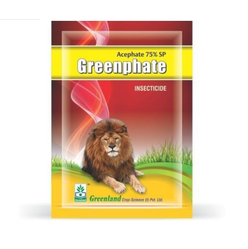 To fulfil the increasing and ever changing demands of our valued clients, we are highly engaged in offering Acephate Greenphate Biopesticides in the market. This is used primarily for control of aphids, including resistant species, in vegetables and horticulture. At our premises, these offered products are processed under the hygienic conditions that are sourced from the authentic vendors of the market. Our respected clients can avail from us a quality proven the range of Imidacloprid 30.5% SC (Super Master), which is processed under the hygienic conditions. This is known as an effective systemic and contact insecticide. Apart from this, our clients can avail these offered products within the promised period of time. We are involved in offering Deltamethrin 1% Triazophos 35% EC Deniel to the customers. Our offered range is widely used on Cotton, Groundnut, Brinjal, Okra, Gram, Cabbage, Cauliflower, Tomato, Sunflower, Soyabean and Sugarcane. Quality approved ingredients are used during the composing of this product. In addition to this, we are offering it in accordance with the requirements of the customers. 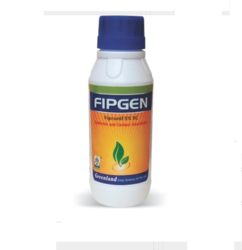 Backed by the in-depth experience and knowledge in this field, we are actively engaged in providing an all-embracing assortment of Fipronil 5% SC (Fipgen) that is largely demanded by our prestigious clients. Offered range is used to control mosquitoes and flies around the fields. These are formulated as per the industry parameters using pure quality ingredients and latest technology. We are offering to our clients a wide assortment of Imidacloprid 17.8% SL (Master). 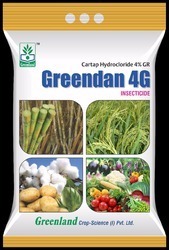 Our provided range of this product is very demanded among our prestigious clients and used to control sucking insects, including leaf, planthoppers, aphids, thrips and white flies. Apart from this, we are offering these products to our clients at very affordable rates. Our organization set a benchmark in the industry by providing a wide gamut of Thiamethoxam 25% WG in the market. The offered quality approved collections of products are formulation of Thiamethoxam 25% WG and used in removing stem borer, gall midge, whiteflies, jassid, mosquito bug, helopeltis theivora, aphids, hopper, thrips from rice, cotton, okra, mango, wheat, mustard, tomato, brinjal, tea, tomato, potato, foliar application and soil drench. 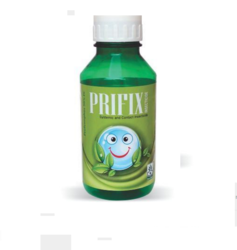 We are actively engaged in presenting the supreme quality array of Profenofos 50% EC (Prefix) to our esteemed clients. It is processed in compliance with the laid medical industry quality standards. We are offering these products at very reasonable market rates and used for the control of Bollworms, Jassi De, Aphids, Thrips and Whitefly on Cotton. Moreover, these products are available in given frame of time. Our company has earned accolades in offering Chlorpyriphos 20% EC (Greenban 20) to the clients. 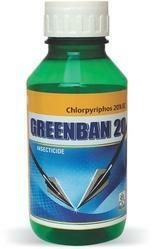 Chlorpyriphos 20% EC (Greenban 20) is highly effective product Chloropyriphos 20% EC. 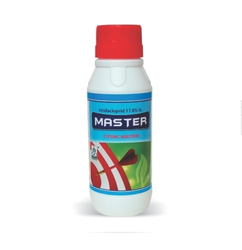 This product is used to control ants, beetles, cockroaches, ticks, termites in the crops. Offered range not only kills the insects but also improve the productivity of the crops. This product is available to customers at various packaging options. Offered range is duly tested by the quality controllerson various parameters before the delivery to the valuable customers. 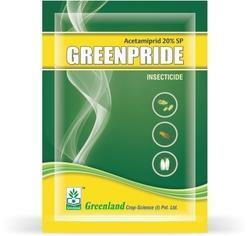 We are providing an excellent quality array of Acetamiprid 20 SP Greenpride to our prestigious clients. Our offered range of these products is demanded by our clients for their effectiveness. Our offered products are available in various packaging option as per the requirements of our clients. These products are highly effective systemic insecticides which suitable to control the aphids, white flies, and jassids in the cotton crop. 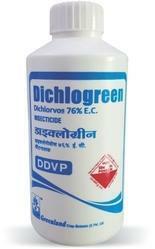 we are involved in offering Dichlorvos 76% EC DDVP (Diclogreen). 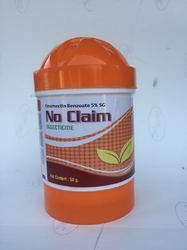 This product is highly admired for its supreme quality and purity. Also, these are checked on numerous parameters in order to deliver flawless range at clients end. These products are highly demanded to control the pests in various plants and available in safe packaging options. 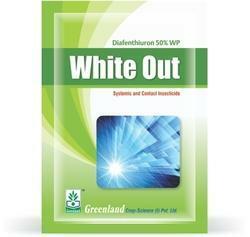 we provide a huge spectrum of Diafenthiuron 50% WP White Out. Offered products are formulated in strict compliance with the industry defined guidelines. In addition, these products are widely admired for their optimum result and accurate composition. Additionally, we are also offering these products in a varied quantity options as per the demands of our valued clients. We are the main maker of Bio-Pesticides and Bio-compost. Botanical Pesticides is Simpolo Bio Pesticide. This item is very viable and control in any phase of yields. Botanical Pesticides, for the most part, utilized for cotton and vegetables.